Match ends, Walsall 3, West Bromwich Albion U21 1. Second Half ends, Walsall 3, West Bromwich Albion U21 1. Foul by Will Shorrock (Walsall). Morgan Rogers (West Bromwich Albion U21) wins a free kick on the left wing. Substitution, Walsall. Jordan Sangha replaces Kieron Morris. Corner, Walsall. Conceded by Max Melbourne. Foul by Reece Flanagan (Walsall). Jack Chambers (West Bromwich Albion U21) wins a free kick on the left wing. 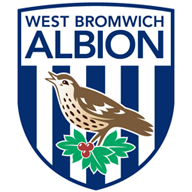 Corner, West Bromwich Albion U21. Conceded by Kieron Morris. Alex Bradley (West Bromwich Albion U21) is shown the yellow card for a bad foul. Foul by Alex Bradley (West Bromwich Albion U21). Substitution, West Bromwich Albion U21. Robbie McCourt replaces Kyle Jameson. Kory Roberts (Walsall) wins a free kick on the left wing. Foul by Callum Morton (West Bromwich Albion U21). Substitution, Walsall. Will Shorrock replaces Zeli Ismail. Attempt missed. Amadou Bakayoko (Walsall) left footed shot from the right side of the box is close, but misses to the left. Zeli Ismail (Walsall) wins a free kick in the defensive half. Foul by Rayhaan Tulloch (West Bromwich Albion U21). Goal! Walsall 3, West Bromwich Albion U21 1. Luke Leahy (Walsall) left footed shot from a difficult angle and long range on the left to the top left corner. Jack Chambers (West Bromwich Albion U21) wins a free kick in the defensive half. Kory Roberts (Walsall) wins a free kick in the defensive half. Morgan Rogers (West Bromwich Albion U21) wins a free kick on the right wing. Substitution, Walsall. Mitchell Candlin replaces Daniel Agyei. Corner, Walsall. Conceded by Aram Soleman. Goal! Walsall 2, West Bromwich Albion U21 1. Zeli Ismail (Walsall) left footed shot from the centre of the box to the bottom left corner. Assisted by Kieron Morris. Hand ball by Max Melbourne (West Bromwich Albion U21). Attempt blocked. Alex Bradley (West Bromwich Albion U21) right footed shot from outside the box is blocked. Substitution, West Bromwich Albion U21. Morgan Rogers replaces Nicholas Clayton-Phillips. Rayhaan Tulloch (West Bromwich Albion U21) wins a free kick in the attacking half. Finn Azaz (West Bromwich Albion U21) is shown the yellow card. Daniel Agyei (Walsall) wins a free kick on the right wing. Foul by Jack Chambers (West Bromwich Albion U21). Kieron Morris (Walsall) hits the bar with a header from the centre of the box. Kory Roberts (Walsall) wins a free kick in the attacking half. Corner, Walsall. Conceded by Nathan Ferguson. Attempt saved. Amadou Bakayoko (Walsall) header from the left side of the six yard box is saved in the bottom left corner. Goal! Walsall 1, West Bromwich Albion U21 1. 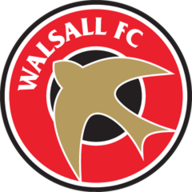 Reece Flanagan (Walsall) right footed shot from outside the box to the bottom left corner. Assisted by Zeli Ismail. Corner, West Bromwich Albion U21. Conceded by Jon Guthrie. Rayhaan Tulloch (West Bromwich Albion U21) wins a free kick on the left wing. Nathan Ferguson (West Bromwich Albion U21) wins a free kick in the defensive half. Foul by Daniel Agyei (Walsall). Jack Chambers (West Bromwich Albion U21) wins a free kick in the attacking half. Foul by Maz Kouhyar (Walsall). Second Half begins Walsall 0, West Bromwich Albion U21 1. Substitution, West Bromwich Albion U21. Finn Azaz replaces Sam Field. First Half ends, Walsall 0, West Bromwich Albion U21 1. Goal! Walsall 0, West Bromwich Albion U21 1. Rayhaan Tulloch (West Bromwich Albion U21) right footed shot from the centre of the box to the centre of the goal. Assisted by Aram Soleman with a cross. Corner, Walsall. Conceded by Sam Field. Luke Leahy (Walsall) wins a free kick on the right wing. Corner, Walsall. Conceded by Alex Palmer. Attempt saved. Maz Kouhyar (Walsall) right footed shot from outside the box is saved in the bottom right corner. Corner, Walsall. Conceded by Kyle Jameson. Foul by Luke Leahy (Walsall). Foul by Aram Soleman (West Bromwich Albion U21). Attempt missed. Maz Kouhyar (Walsall) left footed shot from outside the box is just a bit too high. Callum Morton (West Bromwich Albion U21) wins a free kick in the defensive half. Attempt blocked. Kieron Morris (Walsall) left footed shot from the centre of the box is blocked. Attempt missed. Alex Bradley (West Bromwich Albion U21) right footed shot from more than 35 yards is just a bit too high. Attempt blocked. Zeli Ismail (Walsall) left footed shot from the right side of the box is blocked. Attempt missed. Amadou Bakayoko (Walsall) right footed shot from outside the box is too high. Attempt missed. Daniel Agyei (Walsall) left footed shot from outside the box is close, but misses the top left corner. Attempt saved. Kieron Morris (Walsall) left footed shot from the right side of the box is saved in the bottom right corner. Jon Guthrie (Walsall) wins a free kick on the right wing. Foul by Amadou Bakayoko (Walsall).